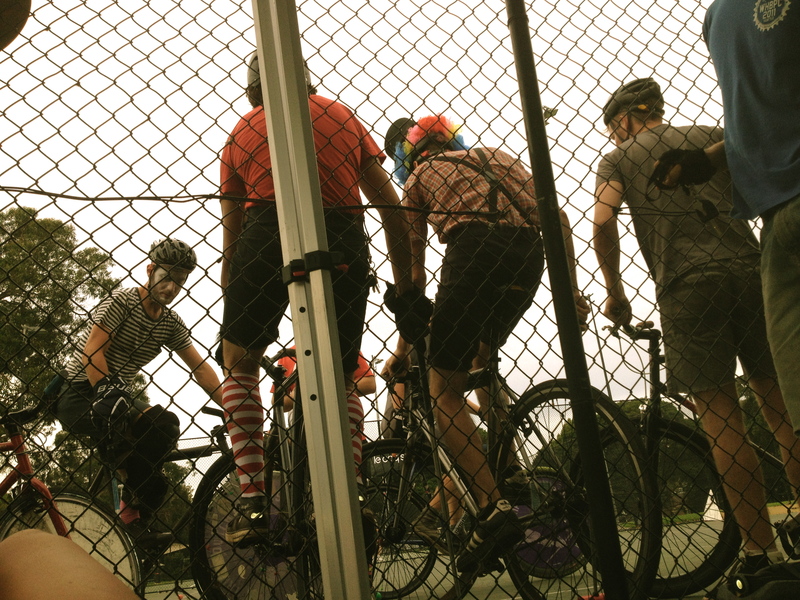 It began with three very eager, fresh-faced Melbourne bike polo enthusiasts one auspicious morning in February. The car was bursting with bike parts and beats were pulsing from its core. Carrots and peanut butter nourished the psyched passengers for their road trip to Sydney. Littered around the basketball courts in Alexandria park in Sydney for two days last month was the most beautiful array of bikes, messenger bags, polo mallets and circus paraphernalia that one would ever happen upon. Players who journeyed here from Perth, Adelaide, Auckland, Melbourne and Brisbane also brought with them an unfaltering spirit and a hunger for adventure on and off the court. And while the volume of the screams from the crowd could be likened to any other sporting event, their flavour was far more creative. 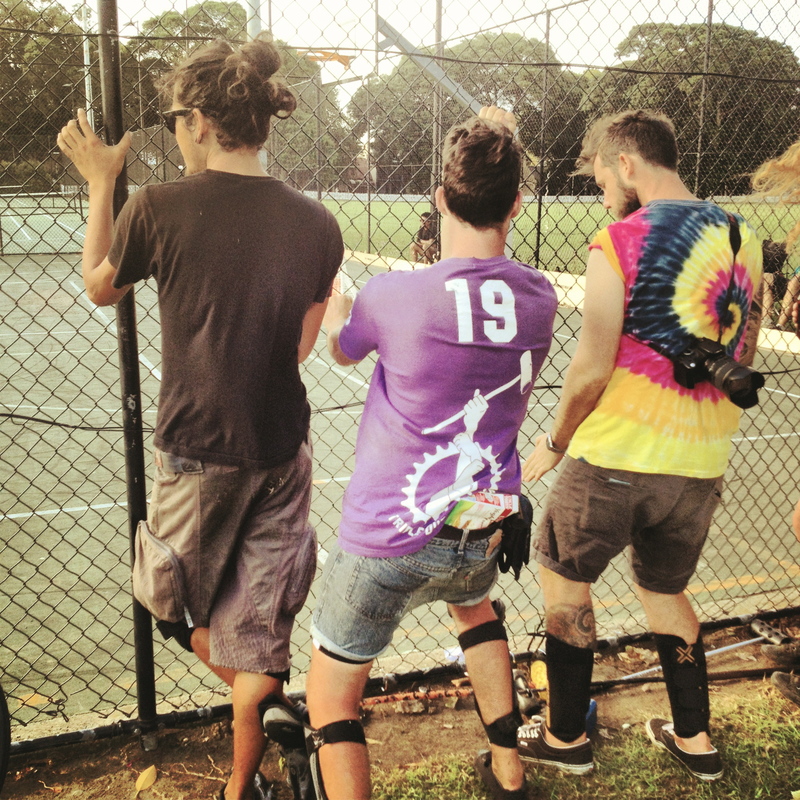 When I first encountered bike polo I gasped and sighed at the same time. It was like walking into a family Christmas, where people are cooking really impressive things and you get to eat them. 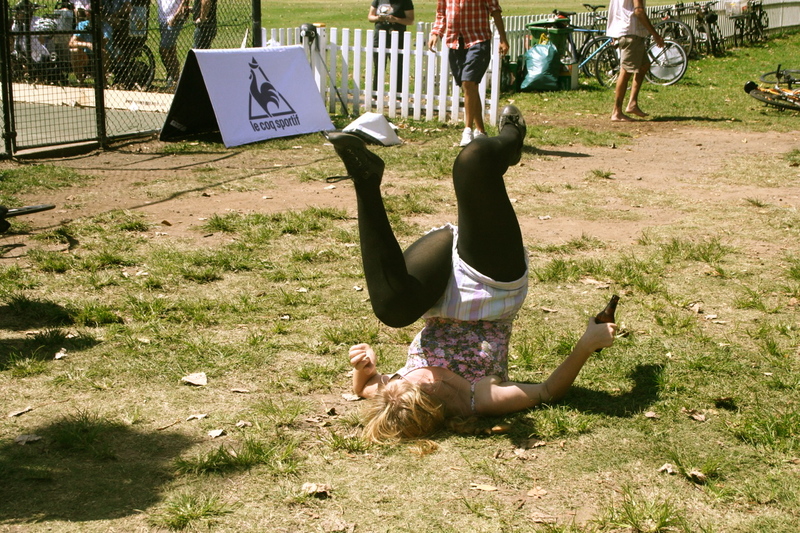 Except in this instance the food is bike skills and they tastes heaps better. And the family really is a family. I can personally attest that the bike polo communities in Shanghai, Brisbane and Melbourne are full of kind, supportive characters and if I were to relocate again, the first thing I’d do is look up the local bike polo crew. Hopefully they’d also be forgiving of my tendency to gyrate when Stylo is streaming from the speakers. Perhaps it’s that the sport draws those high on riding-induced endorphins, or that the players and spectators are one and the same and instead of idolising anyone, you’d approach and befriend them, and request tips to emulate their sweet mallet moves. Or dance moves. 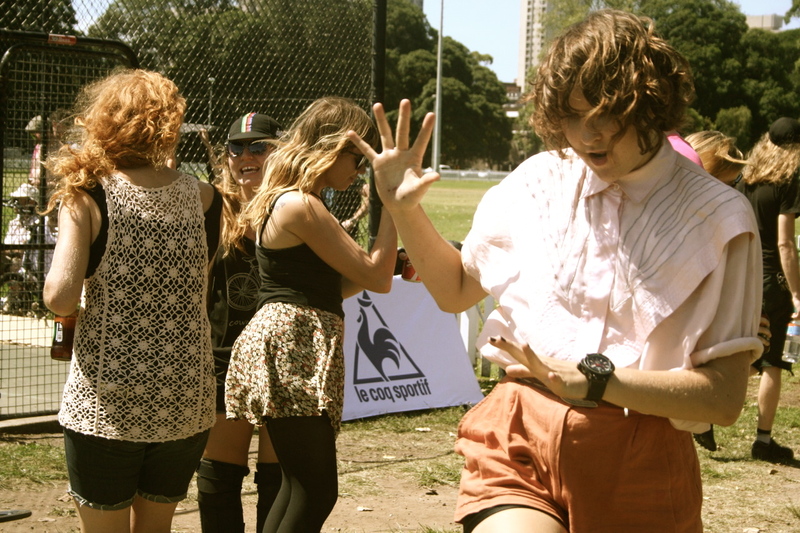 The tournament, ‘Cirque du Sydney’, was made up of teams of three such as the Brisbane champions ‘Majic Pants Sideshow’, Sydney’s ‘Circuscism’ and ‘Freakshow’ from Perth. For a newbie, addiction is inevitable, due to the lunging, swerving and swinging each game delivers. The feeling of being part of this chaotic, wheel-infused frenzy is indescribable. I urge you to play and experience it for yourself. For me it’s been an on-and-off relationship for four years, since I first dabbled in the sport when I lived in Shanghai, with the crew now known as People’s Bike with Tyler Bowa and Karl Ke at the helm (Karl was the legend that constructed my glorious bike back in 2009). In fact, I mostly watched in awe back then. 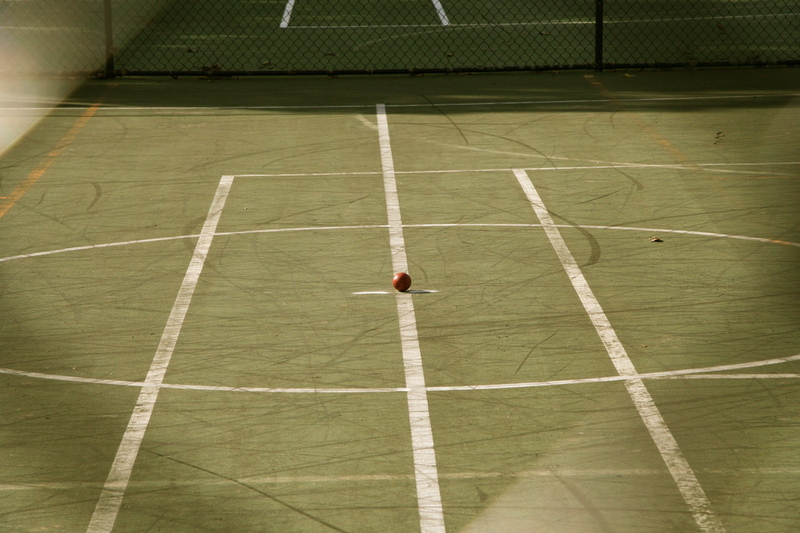 I was never criticised for finding comfort off court and instead was venerated for my exuberant cheering. I’ve no doubt you too would be valued for joining the global family of bike polo. In Sydney they played until the lights went off at 11pm each night, and then rode in a cacophonous posse through the streets of Newtown for brews and banter at a bar somewhere. Those three days were completely blissful. The journey ended with three not-so fresh-faced Melbournites driving home accompanied by significantly more mellow beats, no less enamoured with the sport that is ‘Bike Polo’, charged with memories to sustain them till the next tournament. 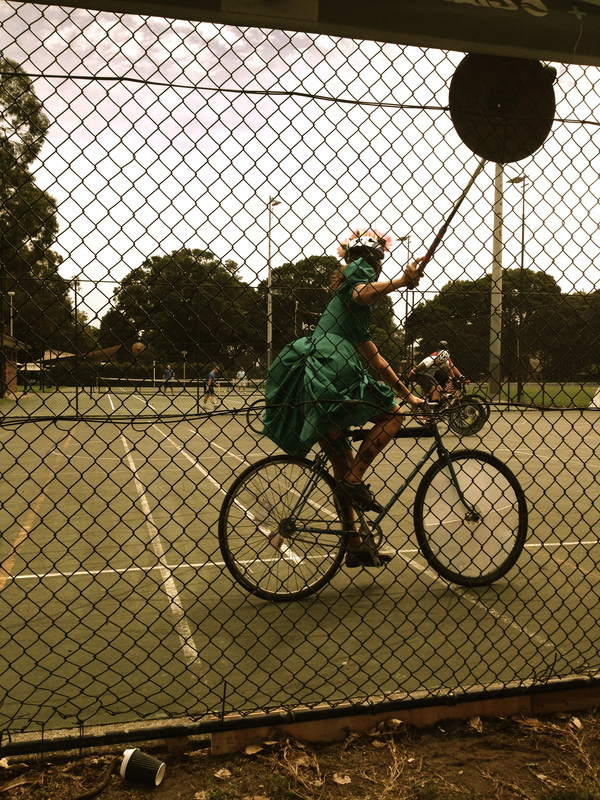 Bring on the Australasian Bike Polo Championships in Perth! See you there! 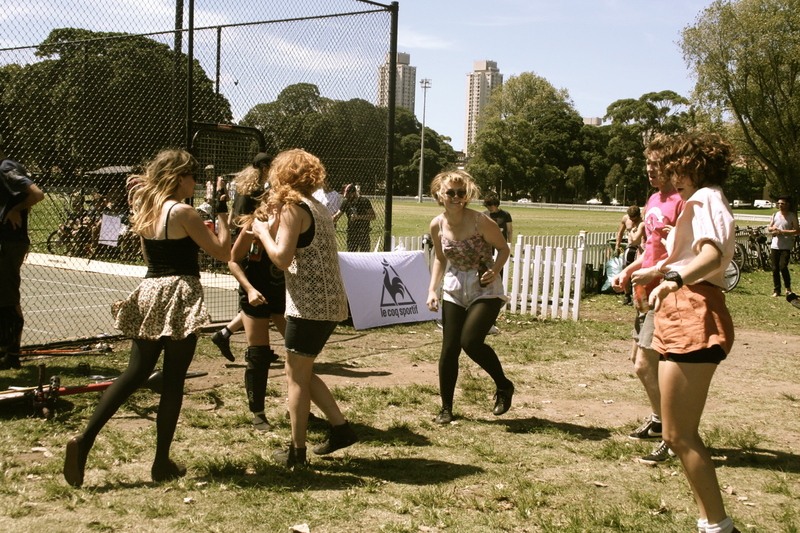 This entry was posted in Do, Melbourne and tagged bikes, day trip, do, gemma, getaway, sharing, sport, sydney, travel. P.S. 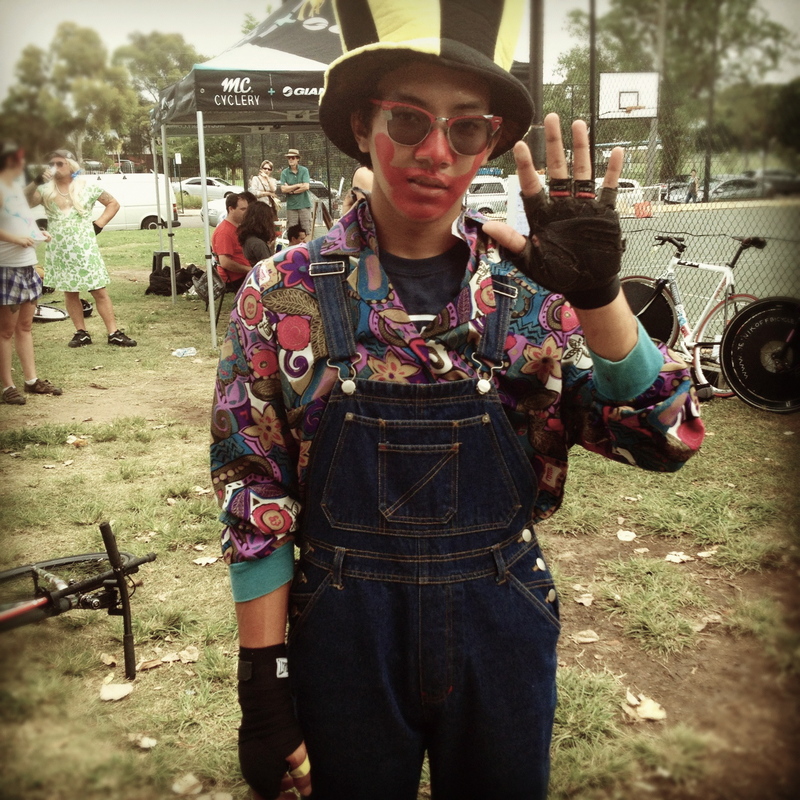 Chris James lived in Shanghai and was part of the Peoples Bike polo club, have you spoken to him? Thanks Rob! Yeah dude Chris and I were good mates – met through polo! We reminisce about it all the time!! Epic, that sounds amazing! I bet Berkeley has a bike polo club – I’ll have to look them up! Hey SF ladies – have any of you heard of/attended an event? Epic sport……………. epic write up!